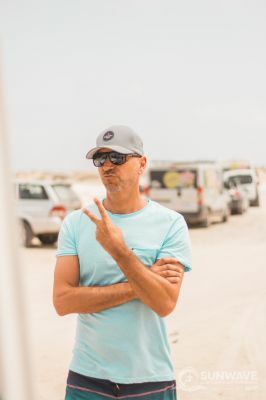 Sunshine throughout the whole year, steady waves and surfspots for every level – a surf couse with Sunwave Surfschool Fuerteventura is the fastest way onto the surfboard. 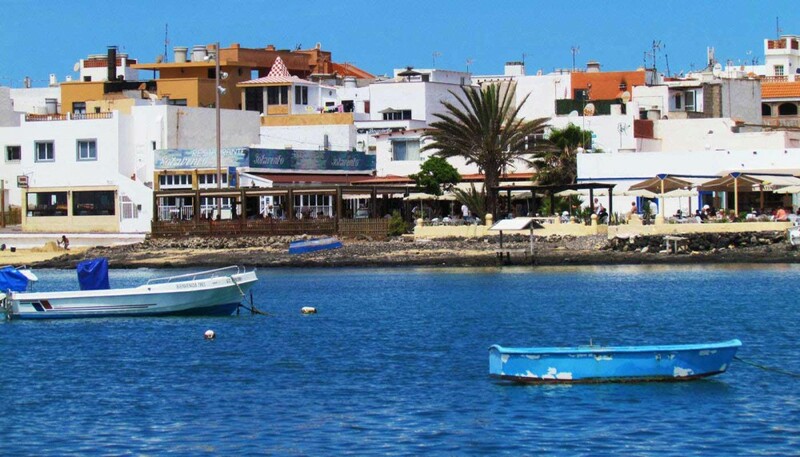 Next to the best surfspots, Fuerteventura has so much more going for: Yoga, diving, horse riding and much more can be done in and around Corralejo. 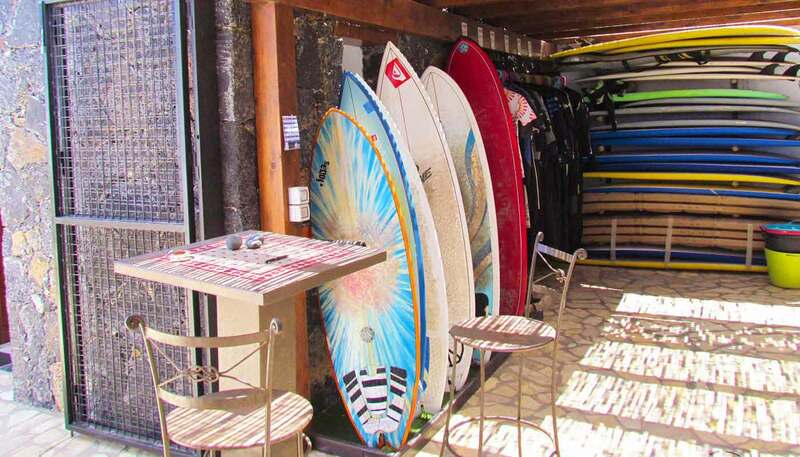 Our surf school is equipped with everything necessary to guarantee you professional surf courses and a comfortable vacation. 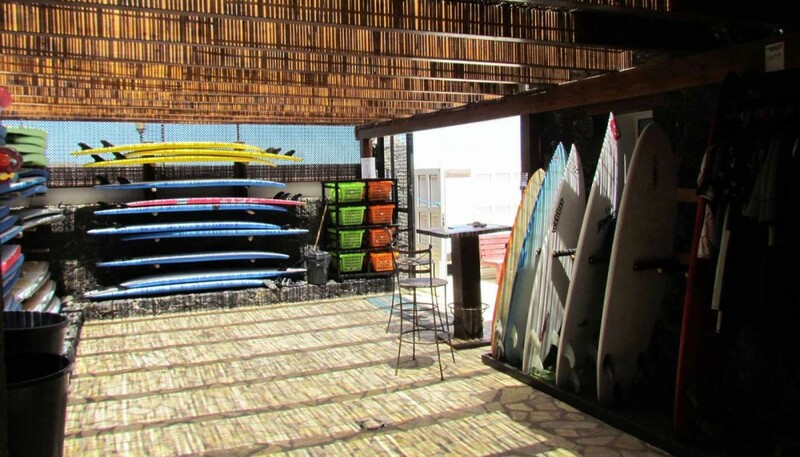 This is where our surf courses are starting and you also can rent surfboards and wetsuits here. You want to learn surfing under professional guidance? You’re ready to improve your surfing style? 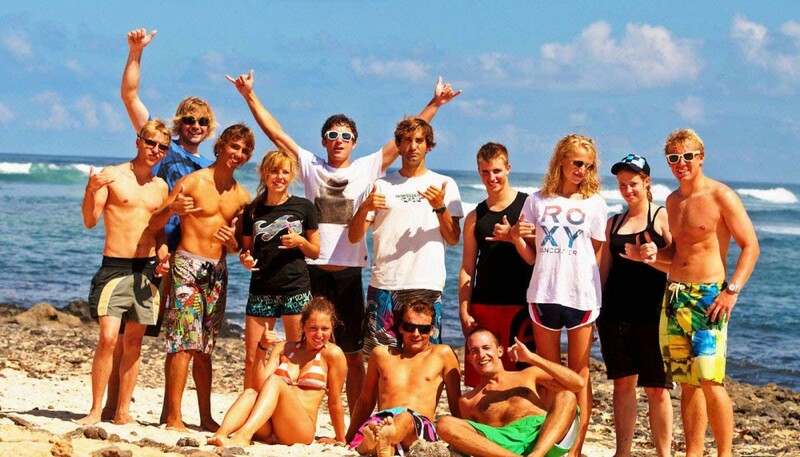 Look no further and join us in one of our surf courses at Sunwave Surfcamp! 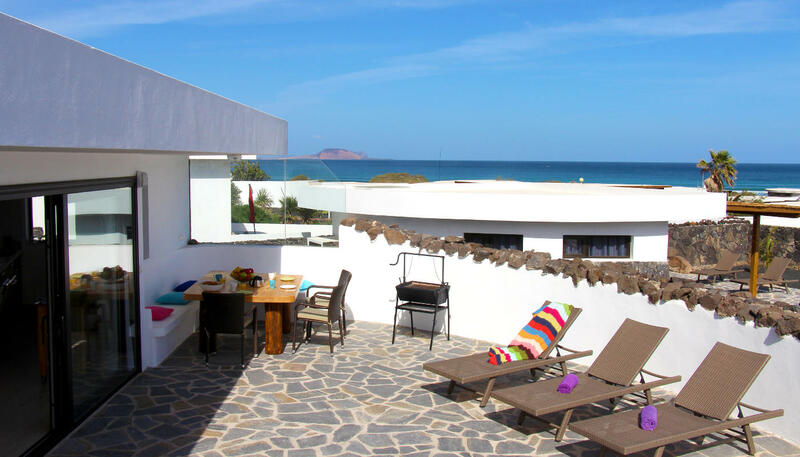 You’re planning a surfing holiday in Fuerteventura and you don’t want to settle below your expectations? 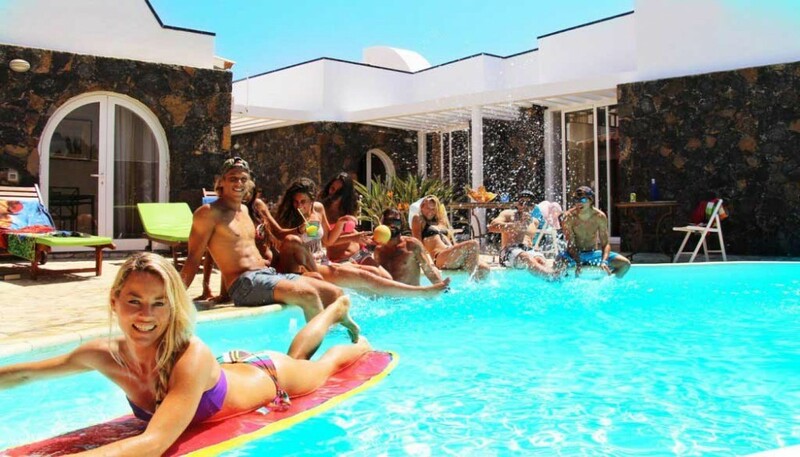 Check out our accomodation options at Sunwave Surfcamp Fuerteventura! 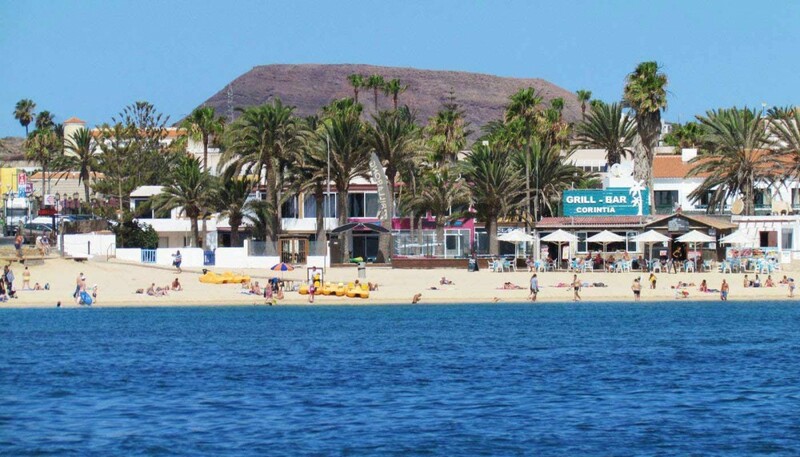 Besides surfing there is a huge variety of activities to do on Fuerteventura. 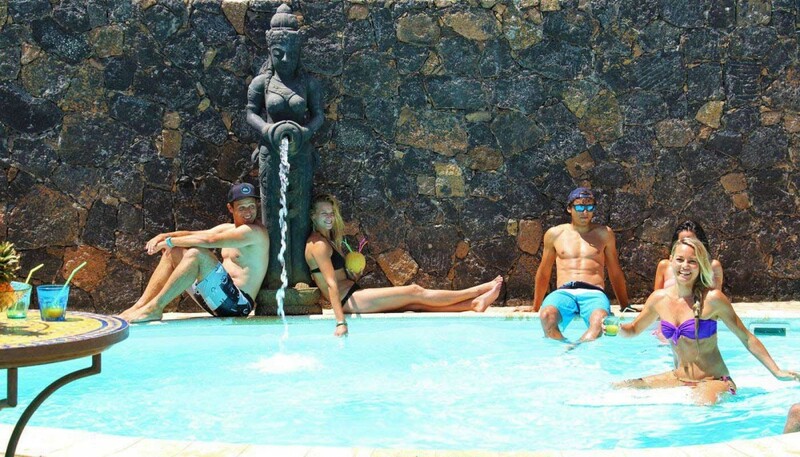 Relax with Yoga and massages or do something more active like diving, horsriding and much more. If you want to book for a group, if you have a special request or you just want more information? 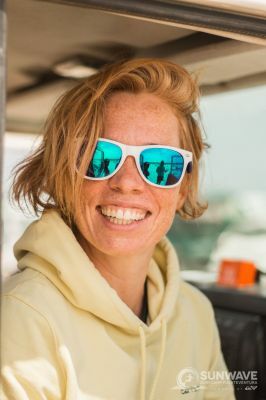 Fuerteventura is the perfect for your surf holiday – miles of sandy beaches, azure water, mellow beachbreaks, more advanced reefbreaks, waves throughout the whole year and warm temperatures…. What more can a surfer ask for? You are a beginner surfer and you want to do give it a try on a surfboard? Or did you already get infected by the surf-virus and now you want spend as much time as possible in the waves? 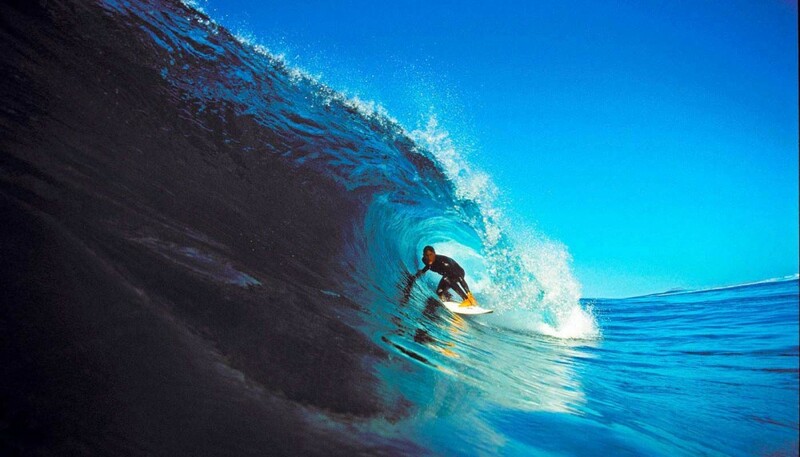 Either way, a surfing holiday in Fuerteventura is perfect for any level of experience! With Sunwave Surfschool, a team of experienced and licensed surf instructors will teach you the basics of surfing in our beginners surf course. If you already have surfed before and just want to improve your surfing stlye and technique, you should go for our intermediate surf course or the advanced surf course. We also offer a variety of surf accommodations: In our Surf Camp Fuerteventura we have accommodations for every taste: Starting with our exclusive Surf Resort Corralejo with different appartements and a poolarea, on to the Surfcamp Corralejo with shared appartements and ending with our Surf Villa Antonio, a quiet country villa in the beautiful canarian village of Villaverde. Are you curious about our surf lessons? Or are you looking for the best photos of your last session? 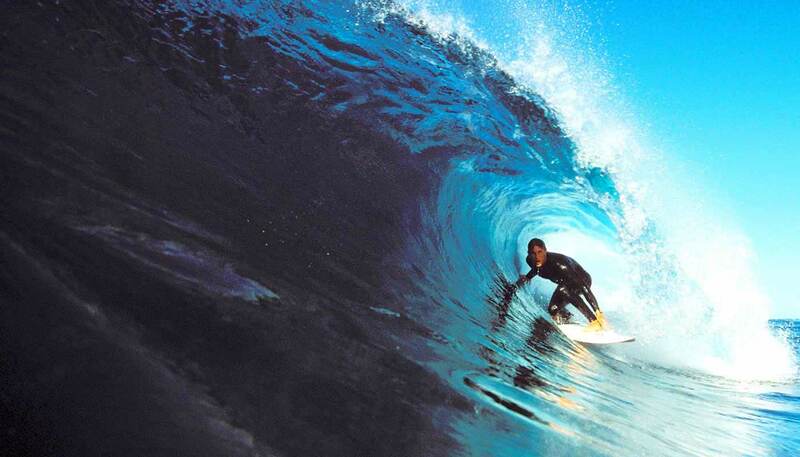 Click out our latest surf pics here! 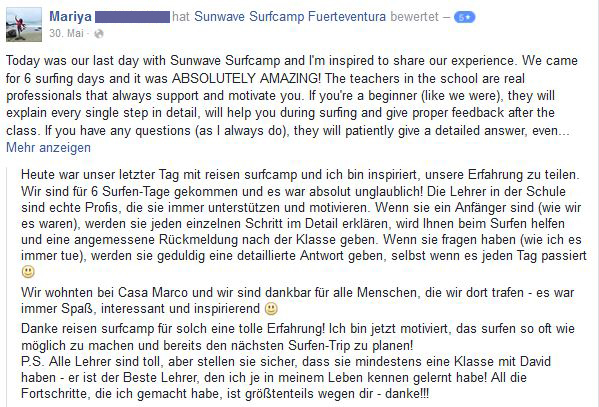 Sunwave Surfcamp is an official APSO school..
Sunwave Surfcamp Fuerteventura AT Tripadvisor And Facebook! Here we have collected some reviews to help you make the decision to surf with us. Thank you for your entries and your support.